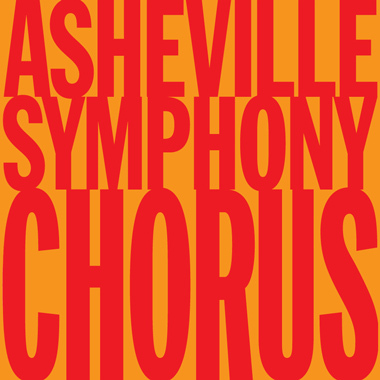 SUNDAY, MARCH 24, 2019 AT 4 P.M.
Masterworks 6, which is also our Asheville Amadeus festival finale, is focused on the great Russian composer and pianist Sergei Rachmaninoff. 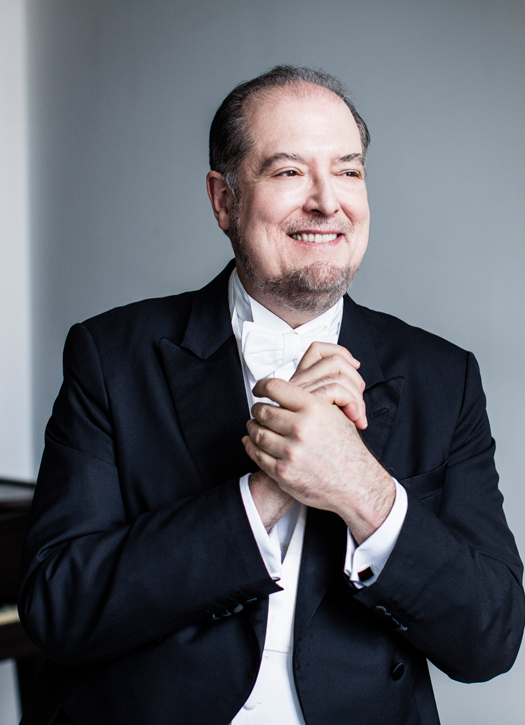 We are joined by star pianist Garrick Ohlsson, one of the world’s foremost interpreters of Rachmaninoff. The Rhapsody on a Theme of Paganini challenges both the soloist and the orchestra and is renowned for its devilish virtuosity and deeply expressive romanticism. The Second Piano Concerto — perhaps the best-known work for piano and orchestra ever composed — radiates with grand romantic melodies and lush orchestration. 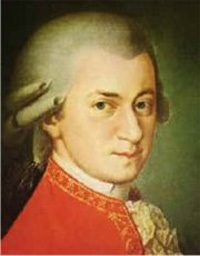 We open the concert by paying homage to Wolfgang Amadeus Mozart in a performance of his Symphony No. 25. Pianist Garrick Ohlsson has established himself worldwide as a musician of magisterial interpretive and technical prowess. Although long regarded as one of the world’s leading exponents of the music of Chopin, Mr. Ohlsson commands an enormous repertoire ranging over the entire piano literature and he has come to be noted for his masterly performances of the works of Mozart, Beethoven and Schubert, as well as the Romantic repertoire. To date he has at his command more than 80 concertos, ranging from Haydn and Mozart to works of the 21st century. An avid chamber musician, Mr. Ohlsson has collaborated with the Cleveland, Emerson, and Tokyo string quartets, and this fall will tour with the Takacs Quartet. Together with violinist Jorja Fleezanis and cellist Michael Grebanier, he is a founding member of the San Francisco-based FOG Trio. Mr. Ohlsson can be heard on the Arabesque, RCA Victor Red Seal, Angel, BMG, Delos, Hänssler, Nonesuch, Telarc, Hyperion and Virgin Classics labels. When listening to any popular piece of music, it is difficult to keep from being lulled into inattention by its sheer familiarity. And while we can never hear a 200-year-old work from the point of view of its original audience, it is useful to pretend, at least, to be hearing it for the first time. Despite the fact that modern listeners tend to regard the key of a work as irrelevant, musicians of the Baroque and Classical periods regarded certain keys as possessing specific emotive qualities. Minor keys in particular were fraught with emotional significance, and few symphonies in this period were written in minor keys. For Mozart, the key of G minor was the key of extreme pathos and despair. He used it sparingly for some of his most heart-wrenching music: the String Quintet K. 516; the Piano Quartet K. 478; Pamina’s aria “Ah, ich fühl’s” from The Magic Flute; the Symphony No. 40 K550 and, of course, the so-called “Little g minor” Symphony (No. 25) K. 183 written when he was only 17. Considering the Symphony’s dark mood, it was probably not written on commission but to satisfy the composer’s inner feelings. 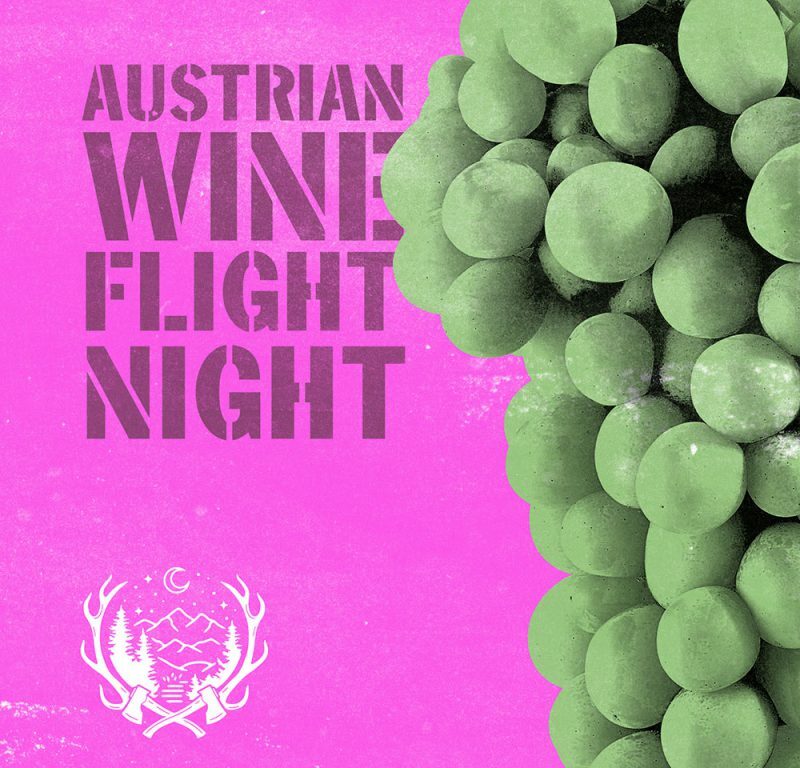 Mozart composed it in October 1773, just after his return to his hated Salzburg from a less-than-successful trip to Milan, where his opera Lucio Silla, with its Sturm und Drang atmosphere, displeased the audience. Given his general immaturity, one can envision the Symphony as a brilliant, but typically adolescent, outpouring. For over 200 years the “Little g minor” was rarely heard in concert halls in spite of its beauty and emotional wallop. It took the film Amadeus, where the stormy first movement served as background music for the opening credits and Mozart’s funeral procession, to bring it to public attention. The Symphony’s new lease on life must also give great satisfaction to oboe players, who get a couple of the repertory’s great licks in the first and third movements – with repeats! The Andante is suitably lyrical and understated to provide relief from the first movement. But the Menuetto and Trio return to the somber mood of the opening, much as its later cousin does in Symphony No 40. With a lovely duet, the Trio allows the second oboe to share the wealth with its partner. and later in the movement a similar allusion to the opening of the Symphony, especially its syncopated rhythm. Mozart was to visit another trasnformation of the opening theme of this Symphony on another occasion nearly half a lifetime later in the overture and denouement of Don Giovanni. Sergey Rachmaninov grew up in a musical family, middle-class but under strained economic conditions. His gifts as a pianist were recognized early, but he had always wanted to compose and considered himself a composer first, pianist second. Already established as a performer, he gained instant fame as a composer at age 19 with his Prelude in C-sharp minor, a work that haunted him all his life because audiences always expected – and demanded – it as an encore to his concerts. The premiere performance of Rachmaninov’s First Symphony took place in St. Petersburg in 1897. It was a dismal failure, in large part due to the shoddy conducting of Alexander Glazunov, who was drunk. The disappointment brought on a severe depression, and for three years Rachmaninov was unable to do any significant composing. Finally in 1900 he went for therapy and hypnosis to Dr. Nikolay Dahl. The result was one of the first well-known successes of modern psychotherapy. In 1901 Rachmaninov was consequently able to return to creative work on his Second Piano Concerto, dedicated to Dahl. Relapses into depression dogged Rachmaninov, however, for the rest of his life. And significantly, all his large instrumental compositions, as well as most of the rest of his oeuvre, are in minor keys. 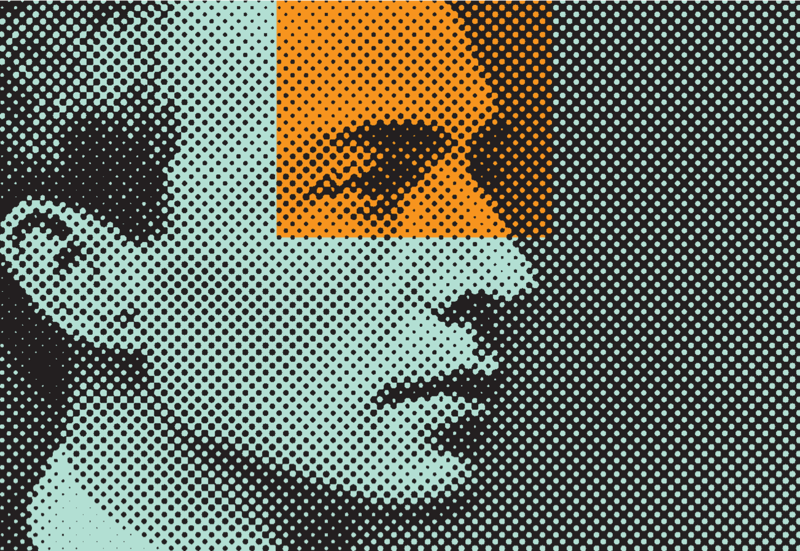 For nearly two decades Rachmaninov managed to divide his time comfortably among composing, conducting and performing, with composing having priority. But this idyllic life was changed drastically in 1917 by the Russian Revolution which, as a conservative and traditionalist, he viewed with horror. That year, Rachmaninov left the country with his family never to return, eventually settling in the United States. His sources of income having dried up, he became a full-time pianist for the rest of his life, leaving him little time to compose. One of Rachmaninov’s late works was the Rhapsody on a Theme of Paganini, composed in 1934, a set of variations based on the 24th Caprice from Niccoló Paganini’s Caprices for Violin Solo, Op. 1. This Caprice – itself a set of bravura variations – has also served such diverse composers as Chopin, Liszt, Schumann, Brahms, Schnittke and Lutoslawski. Rachmaninov played the premiere with the Philadelphia Orchestra in Baltimore under the baton of Leopold Stokowski. Beethoven had used a similar device to open the set of variation in the Finale of the Symphony No. 3 (Eroica), a stunningly novel approach for the time. Only afterwards does Rachmaninoff present the theme in full, following it with 23 more variations and a mischievous two-measure coda. The Variations give the pianist the same kind of virtuosic workout as its model did for showman Paganini. (Var. 15) and changing moods. (Var. 8) Yet however much a variation appears to stray from the theme, the underlying harmonic structure remains constant. Rachmaninov provides two surprises that save the work from unrelenting repetitiveness so common with long sets of variations. One is in Variation 7 with the appearance of a second theme, the Dies irae chant from the Catholic Mass for the Dead that reminds mourners of the terrors of the Day of Judgment. It is a theme that recurs frequently in Rachmaninov’s music, usually in the most somber contexts, but here it has a decidedly tongue-in-cheek flavor: while the piano plays the Dies irae, the orchestra continues to play the Paganini theme, with which it conveniently harmonizes perfectly. The Dies irae recurs in later variations, but always balanced by the main theme and never imposing its lugubrious atmosphere on the composition. The second highlight occurs in Variation 18. Nearly all of Rachmaninov’s music is in minor keys. Yet, “compelled” by tradition to compose at least one variation in the opposite mode, he accentuated the contrast by not only composing Variation 18 in the major mode, but inverting the theme as well. Listeners often think of this variation as a totally new theme. And indeed, it bears a striking similarity to the composer’s romantic second themes in his symphonies and piano concerti. Whereas earlier defeats had produced in the young composer creative defiance, the failure of his Symphony No. 1 brought on a severe depression. For three years he was unable to do any significant composing. After consulting numerous physicians and advisors, even asking old Leo Tolstoy for help, he finally went for therapy and hypnosis in 1900 to Dr. Nikolay Dahl, an internist who had studied hypnosis and rudimentary psychiatry in Paris. The result was one of the first well-known successes of modern psychotherapy. Although the composer was able to return to creative work, relapses into depression dogged him for the rest of his life. Significantly, all his large instrumental compositions are in minor keys, and one of the melodic themes recurring in many of his compositions is the Dies irae from the Catholic mass for the dead reminding mourners of the terrors of the day of judgment. 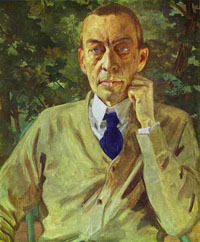 Rachmaninov expressed his gratitude to Dr. Dahl by dedicating the Second Piano Concerto to him. The first performance of the complete work took place in November 1901 with the composer at the piano and was an instant success. It is Rachmaninov’s most frequently performed and recorded orchestral work and its popularity has never waned. It even found its way into Hollywood as background music to the World War II movie Brief Encounter. The first movement, moderato, opens with dark unaccompanied chords on the piano, which increase in intensity and are gradually joined by the orchestra, leading to the first theme. The effect is like the tolling of the giant low-pitched bells common in Russian churches. The piano introduces the sensuous second theme, one of the composer’s signature melodies. first as a barely audible accompaniment figure in the flute, then taken up in the piano and timpani as an accompaniment to the second theme. Increasingly, it crops up all over the orchestra until the piano pounds it out, letting the rest of the orchestra carry the recapitulation of the main theme. A long rhapsodic coda concludes the movement with a final dramatic burst of energy. The second movement opens with muted strings, following with hesitant piano arpeggios in left hand. As the piano remains in the background joined by a solo flute the clarinet finally brings out the theme in its entirety. The middle section of this ABA form centers on a second theme, which is built on the first and belongs to the piano. Typically of the middle sections of slow movements, it is more intense and passionate than the A section. It builds in speed and energy in a brief cadenza, after which the gentle atmosphere of the beginning return with variations of the first theme. The brilliant third movement is characterized by abrupt changes in mood, all based on two themes. It opens deceptively quietly in the lower range of the orchestra, breaking into a sudden sparkling, drivingly rhythmic piano cadenza and finally the main theme. The second theme, introduced by the violas and oboes, is intensely passionate, and another of the melodies that have made this Concerto so popular. 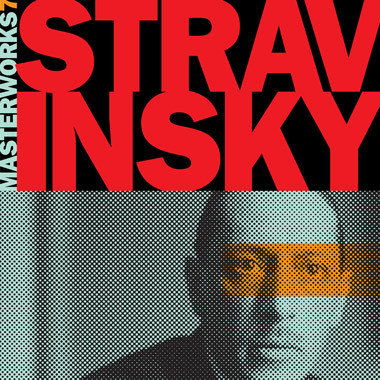 To conform to this new romantic mood, Rachmaninov rhythmically transforms his first theme. Suddenly, the tempo increases to presto and we’re in a whirlwind development of the first theme, including a little truncated fugue. Then it’s back to romantic second theme, more mood swings until after a short cadenza the second romantic theme is taken up by the highest instruments in the orchestra, culminating in a glittering climax.